There are not many places in the world that I’ve been able to visit more than once. For a while, I had only ever visited Winnipeg, Manitoba and Detroit, Michigan on more than one occasion – and that was just because my family would take road trips to visit our relatives there. Now, I can happily add Montreal, Quebec to that list. 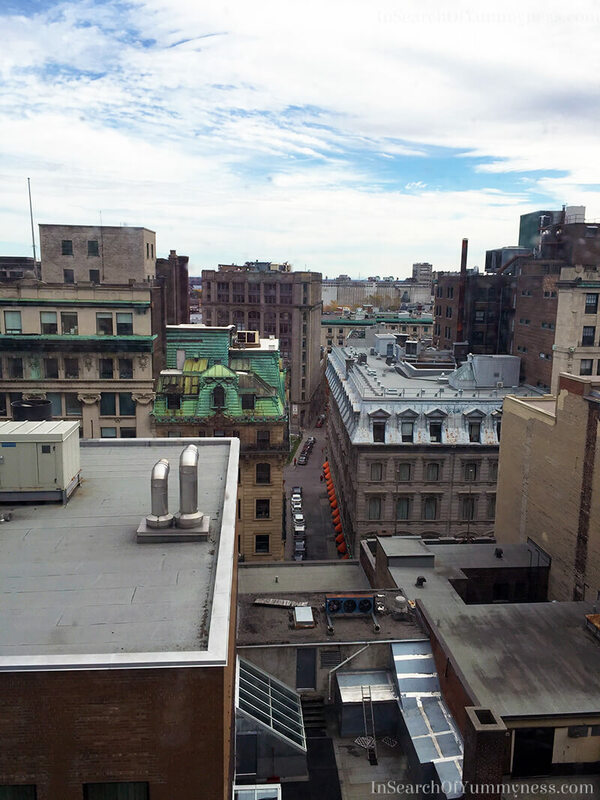 I visited “la belle province” twice last year: first in April to do some sight-seeing with my friend Mandy, then again in October for the Food Bloggers of Canada conference. 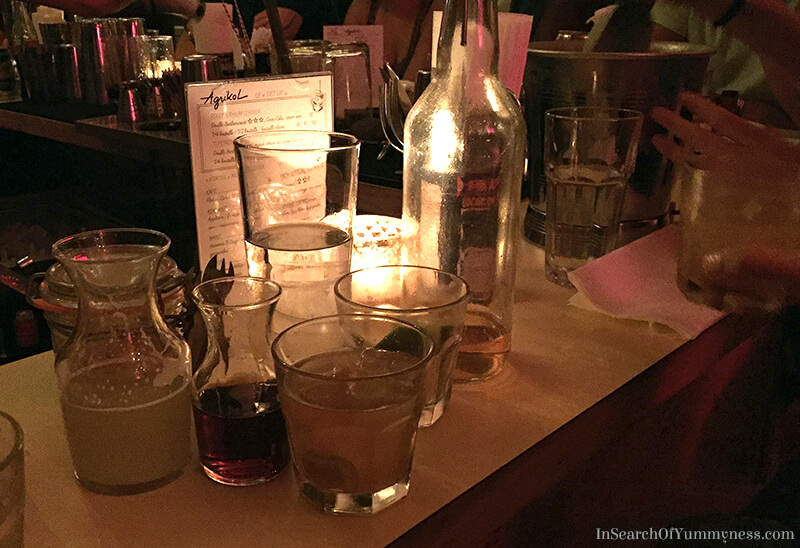 I enjoyed a few great meals during both trips and came back with the intention of blogging about them, but then never found the time to do so. I did write about a cool candy shop that Mandy and I stumbled into, but that was it. I’m blaming my lack of posting on the fact that I had too many photos to sort through. I hate sorting through trip photos! I always take too many photos (hundreds!) and they are a pain to sort through later. If you’ve got a good system for dealing with trip photos, I’m all ears! Anyhow, this time I was determined to share my favourite meals with you, so let’s dive into it. Montreal has some fabulous pastry shops! 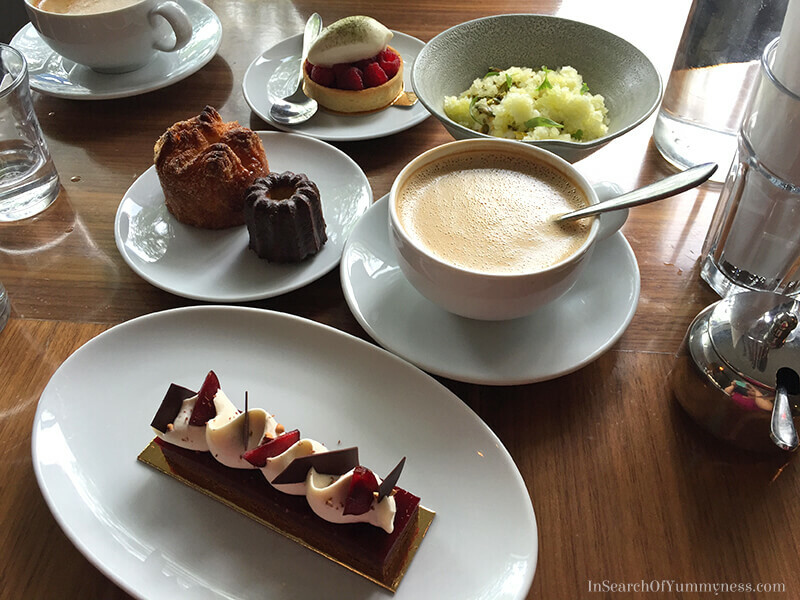 Last year I visited Pâtisserie Rhubarbe and enjoyed their signature opera-cake style desserts. The food there was lovely, but now another pastry shop has won my affection: Patrice Pâtissier! Janice, from Kitchen Heals Soul, took me to the shop on the weekend and we ordered five different dishes to share. My favourite items were the Kouign Amann (a sweet flaky pastry with layers of butter and sugar, like a sweet croissant) and another dish called Le Vert. This signature dessert from pastry chef Patrice Demers might just be the most elegant dish I’ve ever eaten. This deceiving simple dish layers diced crisp green apple on creamy white chocolate yogurt. 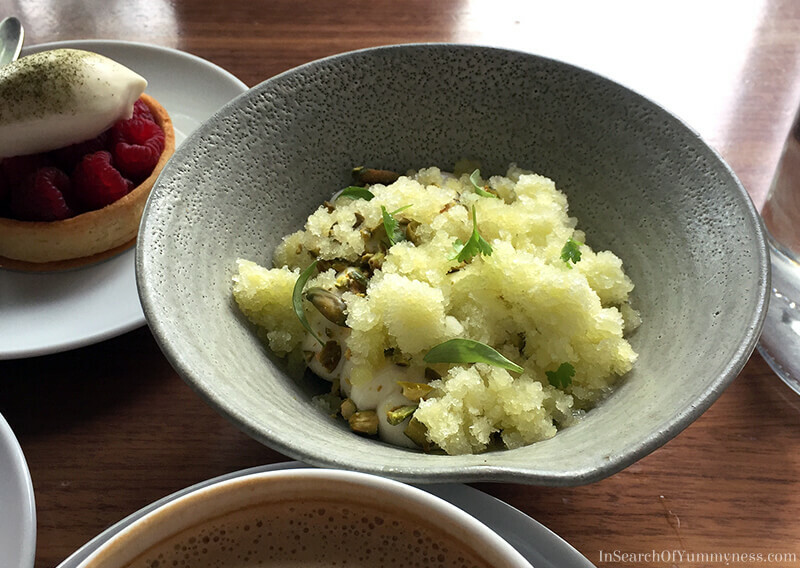 The just-sweet-enough yogurt is topped with roasted pistachios, baby coriander leaves, a green apple granita and a tiny splash of olive oil. It’s refreshing and complex – exactly what you want on a hot summer day. While Le Vert was the star of my brief 4-day stay in Montreal, it wasn’t the only enjoyable food experience that I had. The Atwater Market is one of the most exciting markets that I’ve ever seen. It’s bright and airy design allows for a decent flow of traffic, so you can lazily stop and stare at the beautiful produce without being yelled at by shoppers who are in a rush. I could easily spend hours in that market, although I wouldn’t have a penny left by the end of the day. 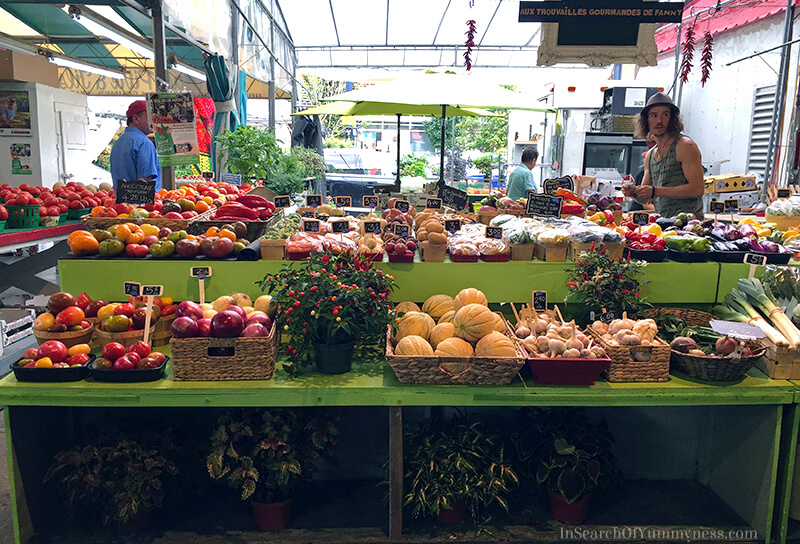 If wanted to buy all of the beautiful produce, but ended up settling on a small basket of wild blueberries and another of juicy ground cherries (a.k.a. husk cherries). I shouldn’t say this, but I am so jealous of people who live near the Atwater and Jean-Talon markets. There are rows and rows of fresh produce, and everything looks like it came straight from the farm. I love that the vendors have baskets and paper boxes of heirloom tomatoes, roma tomatoes, beefsteak tomatoes, breakfast radishes, and more. Instead of a bin that just says “tomatoes” or “radishes”. It’s romantic, and convenient, and it makes me sad that my local option is a one-day market held in a hot parking lot during the summer months. Oh yes, I know that there’s the St. Lawerence market in Toronto, but it’s not anywhere near where I live and it doesn’t have the same feel. On Saturday night Janice and her cousin Lynn convinced me to try a new Haitian restaurant called Agrikol. I wasn’t sure what to expect as we waited for an hour to enter the tiny white house. Once inside though, I was blown away. 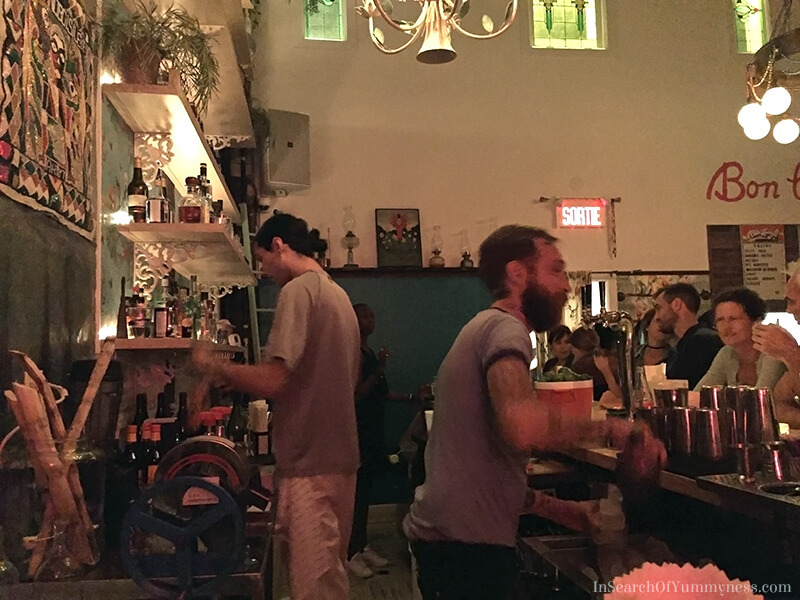 Agrikol has an energetic-yet-cool vibe that you would expect to find in the Caribbean. In fact, the inside of the building looks exactly like the family-owned restaurants there. It’s easy to forget that you’re in Montreal – something that I’m sure the locals will appreciate in the middle of winter. We sat at the bar while we waited for a table to open up on the terrace, and sipped on Ti Ponch. After a short demo from the bartender, we carefully poured Barbancourt Rum into our glasses, adding a squeeze of fresh lime and splashes of cane juice, and cane syrup. The finished drink had a murky appearance, but it was tasty! While we could have eaten inside the restaurant, we opted to wait for a table to open up out on the terrace. 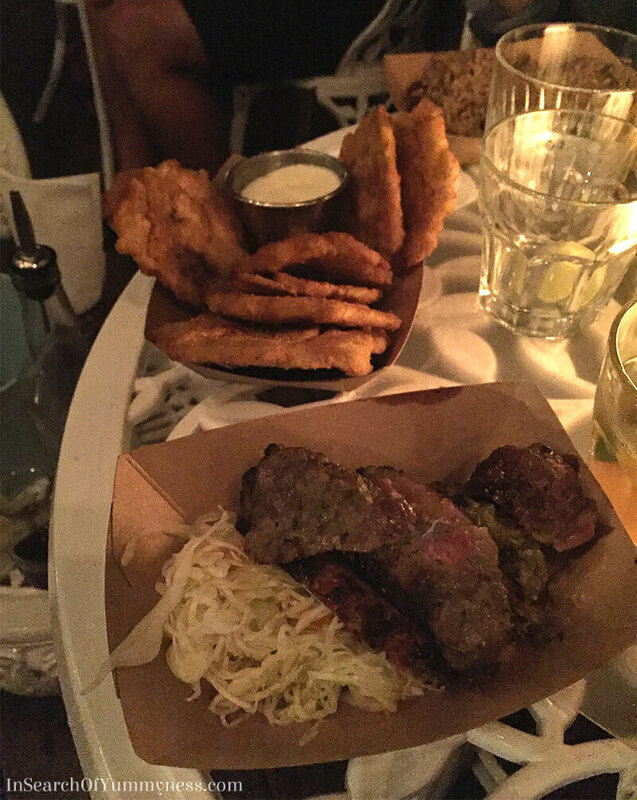 Agrikol has a special grill menu that is reserved for the terrace, and it was totally worth the wait. 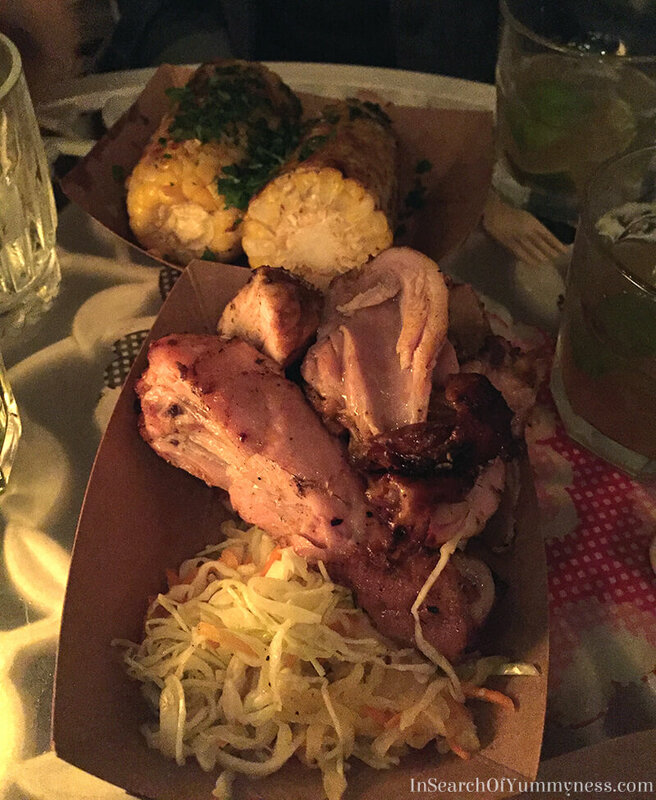 We enjoyed roasted corn with Scotch bonnet peppers and herbs, marinated barbecued chicken that had previously been cooked sous vide (so moist! ), goat sausage that reminded me of Caribbean-style curried goat, and more. Almost every dish was served with a spicy vinegar-based coleslaw called pikliz , which I need to learn how to make soon because no coleslaw will ever taste as good. I thought their rice and beans (which had pigeon peas in it!) and crunchy fried plantain disks with sour cream were also very tasty. These are both things that I would eat at home, if only I knew how to make them. Apologies for the grainy photos. It was dark outside and I was shooting with my iPhone. Agrikol was a treat, and I would love to eat there again. 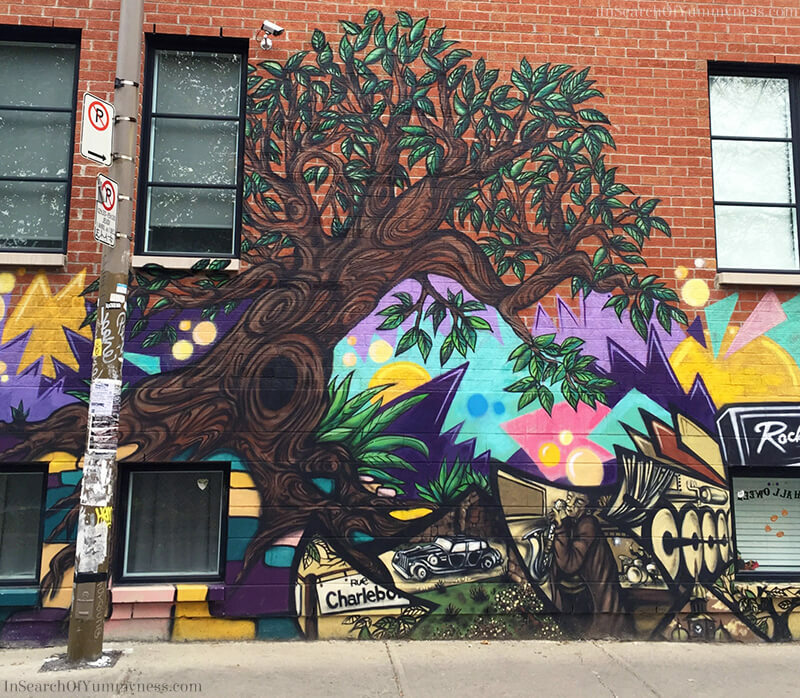 I wonder if there are any Haitian restaurants in Toronto… if you know of any, please tell me in the comments below! A new trend that has hit Montreal is Poké – a Hawaiian dish made of marinated chunks of raw fish (and has nothing to do with Pokémon). Janice and I ordered Poké Bowls from a placed called Le Poké Bar, which allows you to choose up to 6 ingredients to make your own customizable meal for about $15.00 CDN. 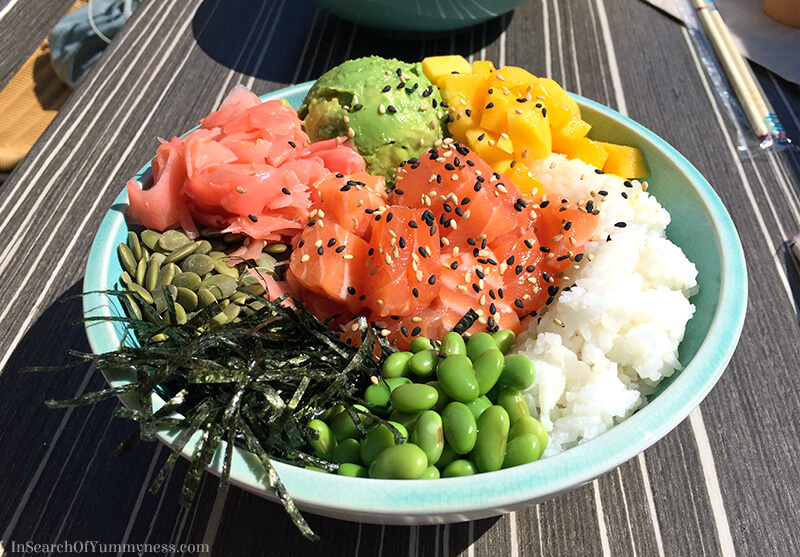 I opted for salmon, white rice, edamame, seaweed (nori), pumpkin seeds, pickled ginger, avocado and mango. The optional sesame seeds were a freebie. I loved being able to combine my favourite flavours, and the result was a hearty dish full of fresh ingredients. This has got to be better for you than most fast food, right? I thought that was my first experience with Poké, but when I got home I remembered that I ate Ahi Tuna Poké at Taste of Toronto last year. That dish was more traditional (not served with rice), but also flavourful. Now on to the reason why I booked my trip to Montreal in the first place! 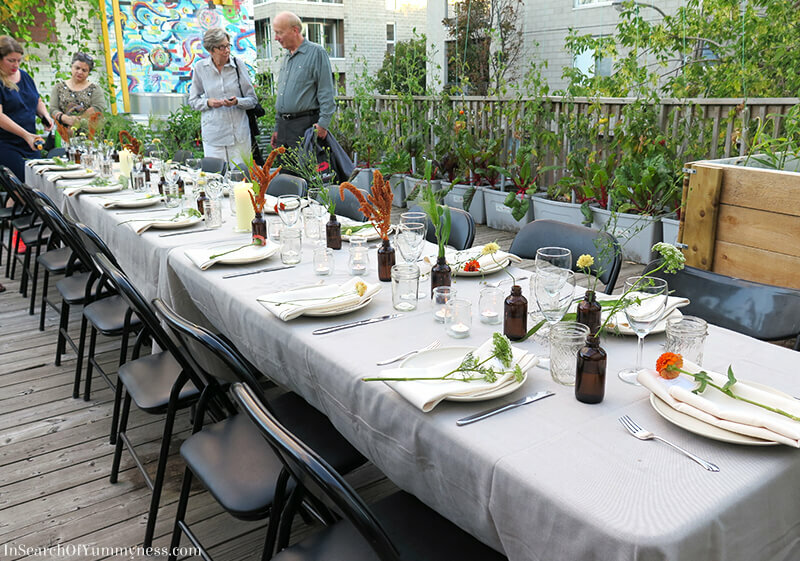 Janice and another blogger, named Mayssam, have been hosting gorgeous seasonal dinners called Saisons, and I’ve been wanting to go since I saw the photos from their first event. This particular dinner was their summer-themed event, with Chef Colin Perry cooking up dishes that reflect his Southern comfort food cuisine. 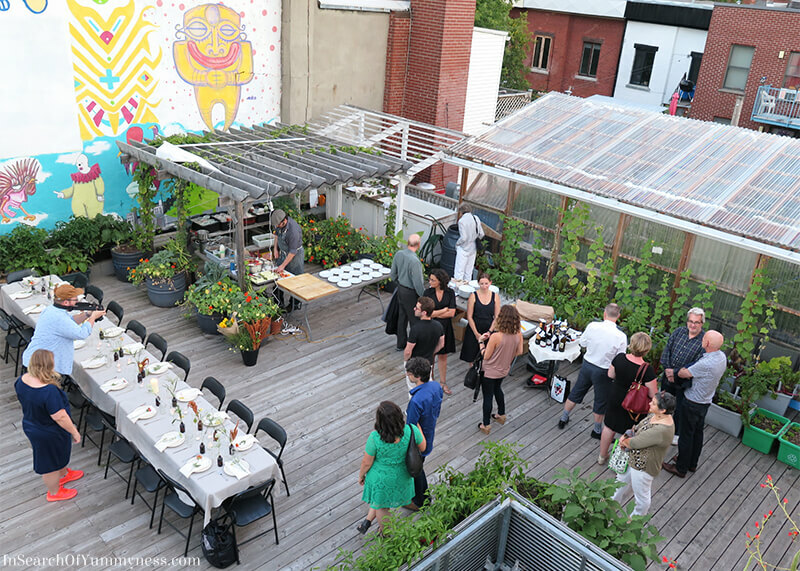 Held on a charming rooftop terrace, the event was a lovely way to wrap up the end of summer. Tickets for their fall event are already on sale, so be sure to visit Saisonsmtl.com to learn more if you’re interested in going. 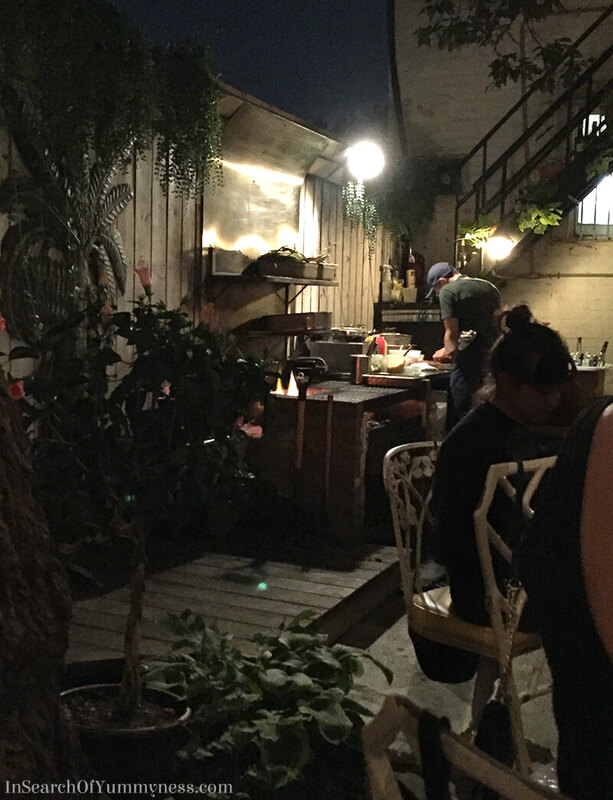 Do you have a favourite place to eat in Montreal? Let me know in the comments! Wow, heading to Montreal next month and totally looking up that pastry shop. Now I am even more excited by my weekend getaway! I’m sure you’ll love it!! Have a great trip!